I learned about the JoeLanta Toy Convention yesterday morning while Facebooking and immediately rearranged my schedule to fit it in. 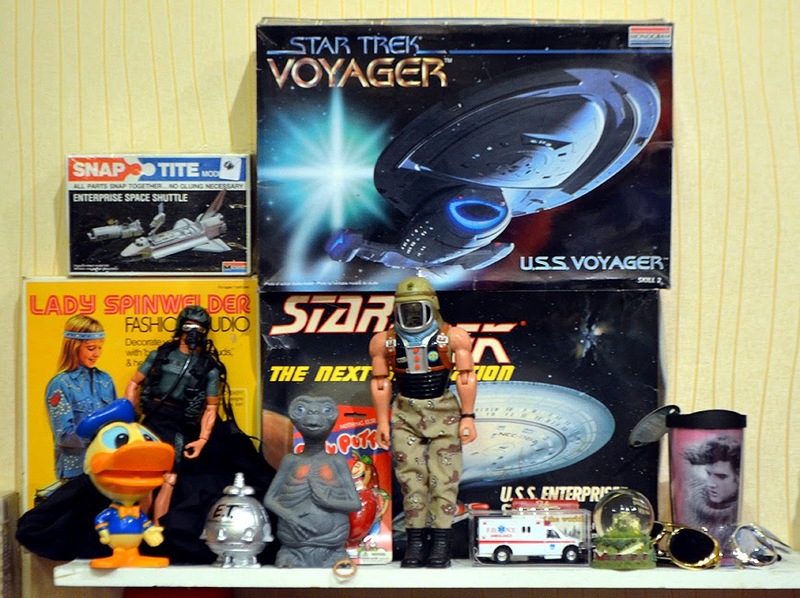 It was pretty cool to hang out with GI Joe and other toys from every genre, television show, and Hollywood movie that you can think of. The Convention also has some great programming, featured artists, and the expected merchandise. And you can't beat the $6 admission price...or, if you go in costume, it's free! 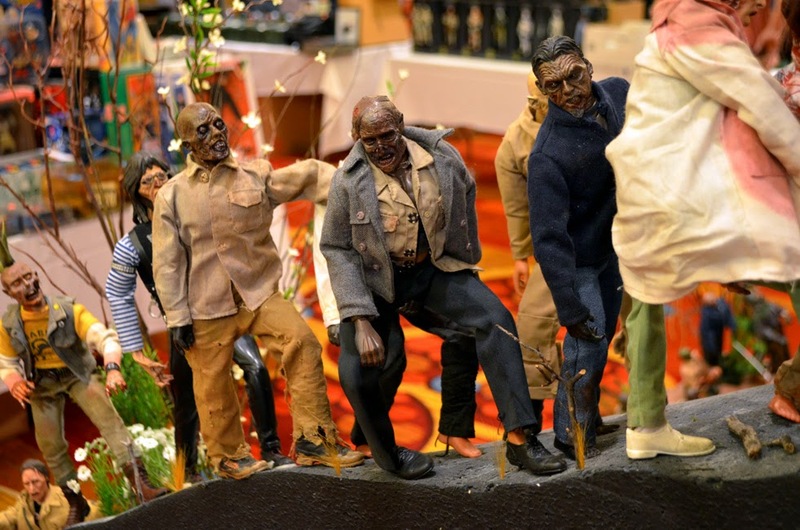 Yes, it's true...I'm a zombie fan. And there were some brilliant ones at the Convention. The dioramas in the Convention are amazing! And there are a lot of them in quite a wide range of styles and subject matter. 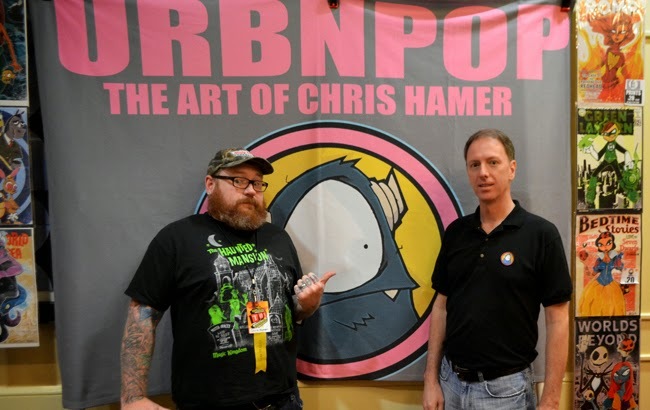 Learning that my artist buddy Chris Hamer of UrbnPop was at the Convention was the deciding factor in my going. Chris is a super nice guy, with a great sense of humor, and 'brilliant' doesn't even come close to describing his work...the man is phenomenal! Dressed in my UrbnPop t-shirt--featuring Byron, UrbnPop's mascot and logo--I stopped by to chat with Chris and was gifted a copy of the debut issue of Ann Beretta, one of Chris' comic books. Looking forward to the read! Chris' new hardcover art book, The Hope Conspiracy, The art of Chris Hamer--is also amazing. I absolutely love what he does with characters from Mars Attacks. He also told me about Atlanta Comic Con coming up in May. Turns out Nathan Fillion of Firefly--one of the best shows ever on television (so incredibly sad it was cancelled after one season--but they kept changing its night). They did however make a movie based on the show, Serenity. I am so going to Atlanta Comic Con! 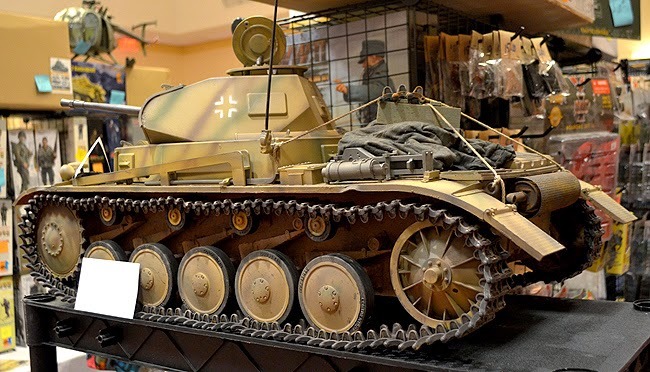 There are a lot of military toys at this particular show...and some of them are HUGE! I was rather impressed with just how much is at the show, given its modest size. I walked the entire show at least three times, just to be sure I'd seen most everything, but I know there's a lot more that I missed, but that's the life of a conventioneer. 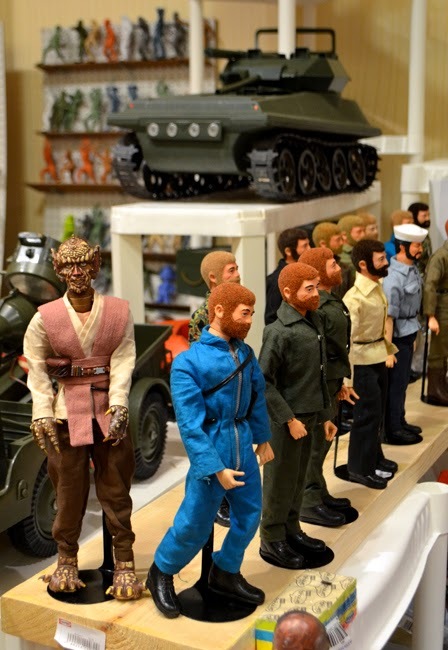 I've never seen so many action figures in my life! Not even in any of the mega stores that are so pervasive in our society. They were certainly fun and many displayed quite creatively. JoeLanta was created and is operated by The Cody Lane Foundation. 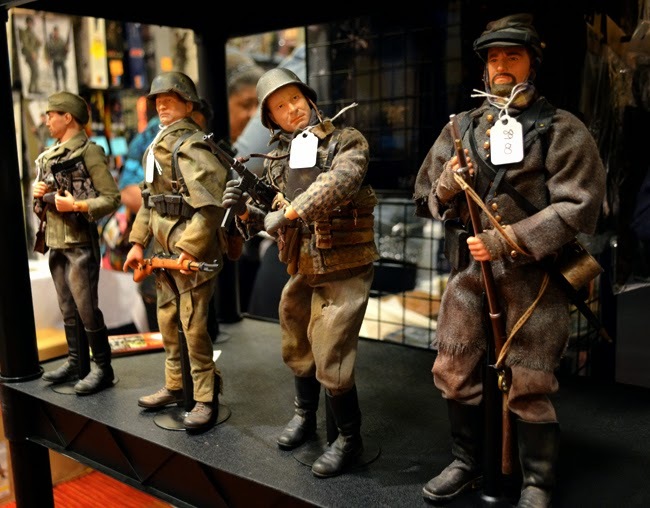 The organization is fundraising to create The Cody Lane Toy and Diorama Museum. Cody, who was an avid collector, including GI Joe collectibles, passed away from CIDP in 2007 at the much too young age of 17. The Museum will be dedicated to the memory and life of Cody. I am frequently astonished and just how much there is to do in Atlanta and Georgia. Seems every time I turn around there's another museum or attraction to add to my list. The Currahee Military Museum, in Toccoa, Georgia, is now on my list...it looks like a fascinating experience. 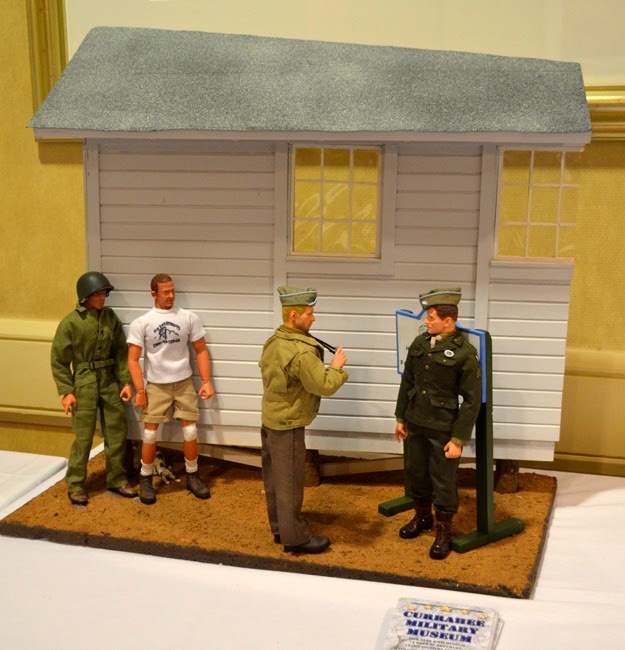 The above photo is one of their dioramas. 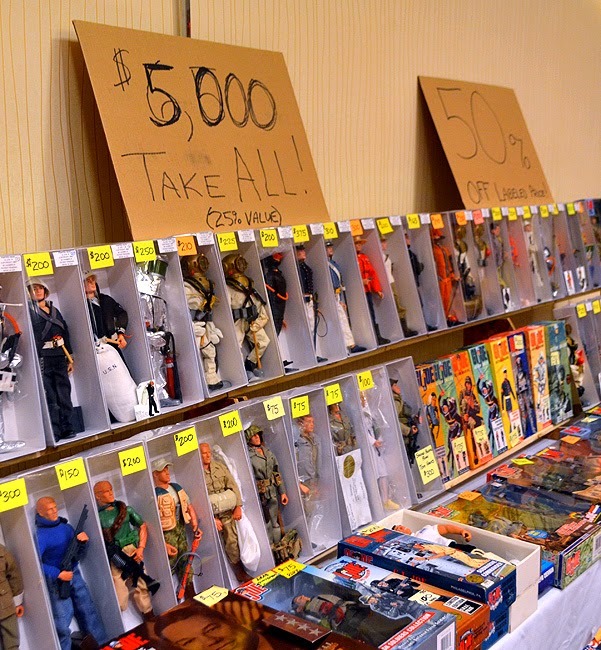 This is a convention, so there's LOTS of merchandise, and there are always deals to be found. I was quite pleased to see my beloved Star Trek represented at the show, particularly Star Trek: Voyager. I'm still on a mission to meet Kate Mulgrew, who played Captain Kathryn Janeway on Voyager...one day! The American Civil War was well represented. 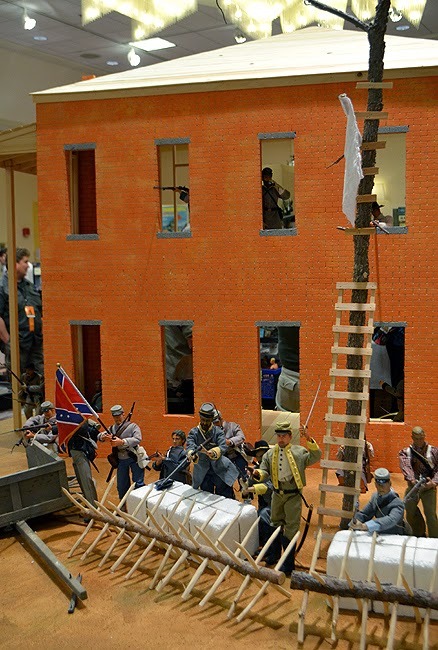 The diorama above is one of the larger Civil War ones on display; this shot is a close up. Speaking of the Civil War, Atlanta Movie Tours will launch a new tour on April 5..."Margaret Mitchell's Gone With the Wind Tour"--a three-hour experience led by costumed tour guides. I can hardly wait! 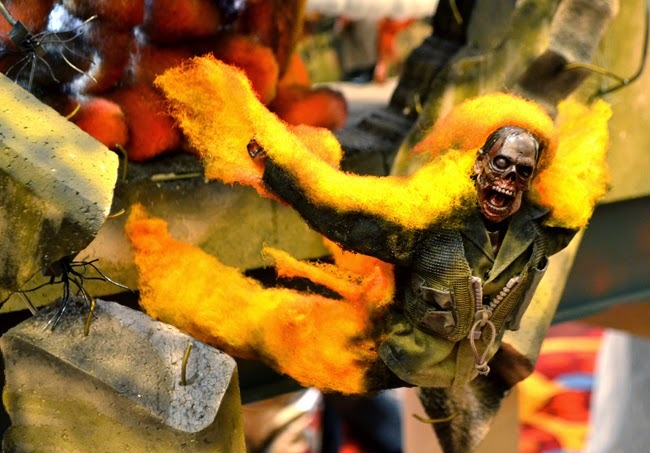 This flaming zombie (above) was one of my favorites! He's part of a large diorama of a car exploding on a bridge--obviously during the Zombie Apocalypse. If you've not read The Center for Disease Control & Prevention's (CDC) report Preparedness 101: Zombie Apocalypse, I highly recommend it. The CDC also has an amazing museum. And for a first-hand zombie experience, check out Atlanta Movie Tours' "Big Zombie Tours"...they offer two! The JoeLanta Toy Convention concludes today. If you want to go, head there soon, and if you can't make it today, "Like" them on Facebook so you get their announcements.